The Year of the Monkey & Yoga’s Counter-cultural Mathematic. Mircea Eliade, former chair at the University of Chicago in the Department of History of Religions, wrote in YOGA: Immortality and Freedom, that the Indians, in the Rg-Veda, called the practice of using heat in conjunction with strident efforts toward self-purification, a tapas. He also described in Shamanism: Archaic Techniques of Ecstacy, (1951) how North American Medicine Men used heat for healing. To me, the tapas that has been written about confirms my experience of yoga practice in a hot room. I’ve seen how this fire changes devotees in unexpected ways. This tapas has taught me to absorb pain and come to balance, taught me to key into my breath and pay attention to everything. The ardor and heat becomes a fire that cracks open spines and hearts as it burns up the superficial layers of our making. Of this cracking, my teachers say it leads to a healthy life. But healthy lives happen by degree. That’s what keeps me going back to my tapas. It’s a faith, yes, but not a blind faith. My faith is accompanied by a vision that goes beyond hope for immediate results. This is one problem with New Year’s Eve resolutions. They are made with an eye to immediate results but do not carry a long term vision that includes a future that is made by sacrifice and effort and only changes by small degree. It’s too easy, without a realistic vision, to become discouraged. Today, not even three full weeks into 2016, New York University published a story stating that 90 percent of New Year’s Eve resolutions have been abandoned. Yoga is more than a resolution, yet it is not my God. Still, yoga is changing me just as yoga is changing in its 21st Century expressions. Today, yogis find themselves as movable parts on a movable thing that’s becoming increasingly mutable. Yoga is shape-shifting into pole dance yoga, water yoga, ariel yoga, and fill in the blank ____ yoga. Yoga is changing, but so is everything, especially in 2016, the year of the Monkey according to the 4653-year-old Chinese calendar. 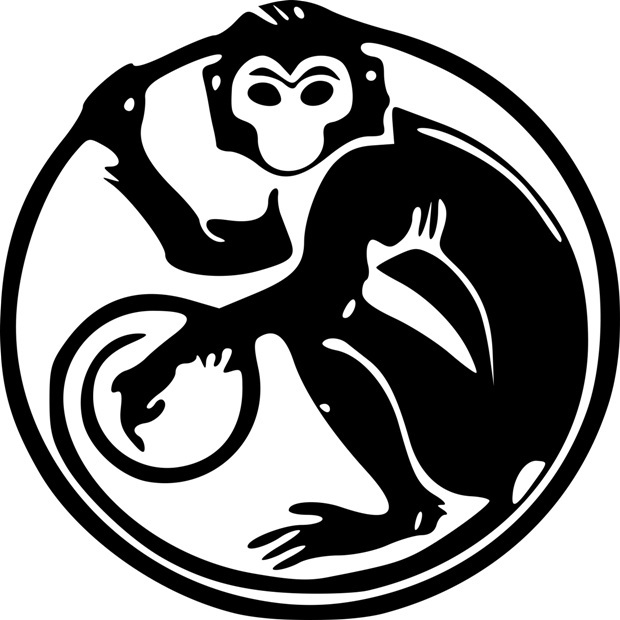 The monkey is notable for its flexibility and facility at movement. It fluidly moves up, down, and sideways with ease. Monkey is a good symbol for yoga, for a monkey easily stretches the limits of muscle and bone. The other idea worth pondering is that monkey seems to have fun. Yoga has morphed, and that is why it’s ridiculous to light a candle for any single expression. I’ve seen both camps in recent articles: One titled its contribution, “True Yoga,” while another asked in good ol’ slang, “What the Hell is Yoga Anyway?” I’m not sure anyone knows for sure what yoga in America is, and if they are sure they have nailed it down, I think they’re taking themselves too seriously. More important than finding the correct definition is the yogi’s willingness to surrender. 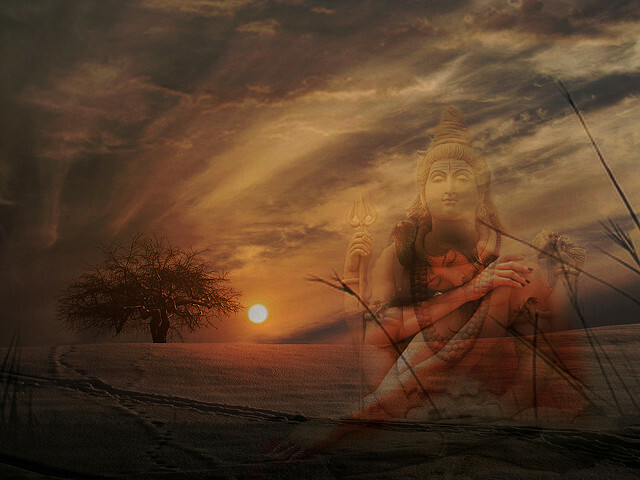 Yoga was organically aimed toward a deep understanding of God and a merge with God. Put the serious bone aside for a moment and think about it. Really? Tapas was holy work, salvation work, eternal work aimed toward the divine. But perhaps the real work of tapas is to help the yogi stop all his/her rigid fretting, to let go of his/her God complex, to align and resign self that he/she is never going to get it all perfect. Never. In Christian thought, there is an undervalued aspect of its philosophy which speaks to such “letting go” with an eye toward the eternal. It’s a way of thinking about God that is usually ignored. It is called the via negativa. Simply put, it’s a way of trying to define God’s nature by identifying what God is not as opposed to the via positiva, or the definition of God by use of superlatives. The via negativa would posit that God is not evil, God is not limited, God is not vengeful. And whether or not one agrees, it’s a good way to frame a philosophical exercise. The via negativa is the buring away of cherished notions and calcification of God as the great via positia or the great I am. It’s hard to identify with that which is remote, abstract, perfect. Can you really understand or find comfort here and now in an everlasting, ever present and all powerful? If so, how? I don’t want God to be an abstract eternal presence. I want God to be present with me now in finite messiness, in dirtiness, in mistake prone territory. That’s where I live and that’s where I must meet my God. In the via negativa, or the tapas of letting go, I can grasp God as not eternal but here and now, not dishonest but real with me, not fragile but resilient. Each negative moves God closer to me as an accessible figure, a concrete figure, a flawed and therefore graspable figure. The result for me, while thinking of the negative is that God becomes an addition by subtraction. If God is not vengeful, then the way of the negative opens the possibility that God is forgiving. But in this manner, I enter through the back door. My approaching God this way makes a divine connection more possible. Yoga’s philosophy is similar in that is an altercation between subtraction and addition. In the detached silence of a yogi’s meditation and practice, each yogi is brought to their grounding negatives. Moment by moment, in every layer of meditation, the yogi asks what is not necessary. This is the practical application of the classical theological discrimination in via negativa. Applied to yoga, the removal of anything not necessary brings one closer to self and therefore closer to God. The via negativa washes away any and all adiaphora (that which makes no difference). By subtracting from our lives that which is unnecessary or unproductive, the yogi ever more clearly defines for him/herself the positive. This is yoga’s counter intuitive mathematic. Its discovery by negation, addition by subtraction, its the tapas of burning away. In the economy of adding, multiplying and adding some more, yoga’s mathematic is Gandhian in its disciplined core, negative in its theological logic and hotly shamanistic in its strategy. Thinking of it all, wouldn’t it really be much easier to usher in the New Year not by adding a resolution, but with a spoonful of monkey, and pinch of subtraction and a ride through the trees. Gregory Ormson is a former Protestant clergy, college instructor, and speech writer. He lives in Hawaii where he writes on yoga and other bendable subjects and is known as “The Motorcycling Yogi.” He anticipates his yoga book to be published in 2016. In it, he writes of starting yoga in a last ditch effort to heal his back, injured after falling from a roof. Taking notes during his practice turned into a collection of 30 inspirational vignettes. There, Ormson unveils his experience of yoga and delivers a profoundly deep understanding of yoga’s dynamic healing paradigm: energy exchange built on purposeful tension and release. Dr. Ormson is an alumnus of The Chicago Theological Seminary; The University of Wisconsin, La Crosse; Northern Michigan University, Marquette, Michigan; and Trinity Lutheran Seminary, Columbus, Ohio. 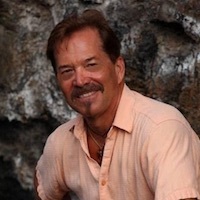 Connect with Greg on his website.